High-End quality. Salient Design. ViaBlue™ Cobra. 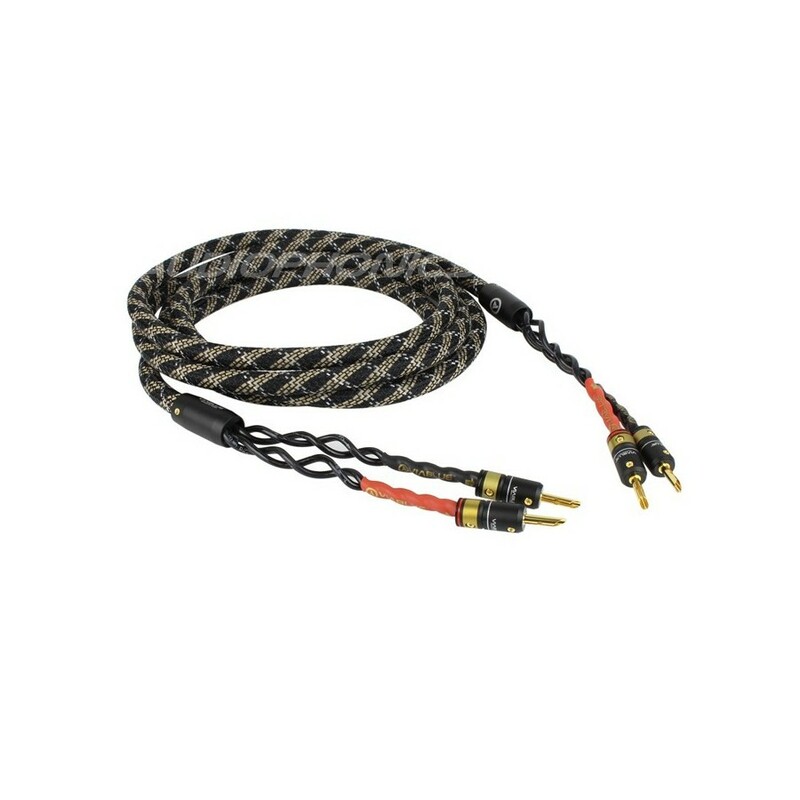 ViaBlue™ SC-4 Silver-Series Speaker Cables have silver-plated strands for the treble range and tin-plated strands for powerful playback of the bass range. 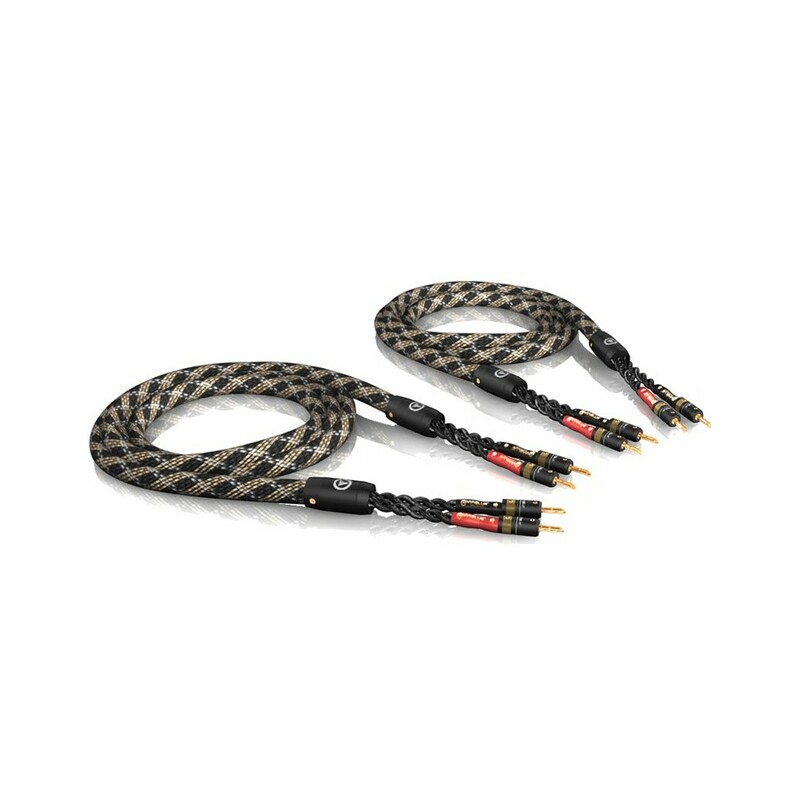 The cables are factory-installed ready-made with ViaBlue™ T6s banana plugs, that have 24 carat genuine-gilded bronze contacts. SC-4 speaker cables have a transparent and three-dimensional acoustics and a brilliant, airy quality in the high range. Clean lows and basses homogeneously round out the acoustic pattern. Technically, all the frequency ranges are cleanly and realistically represented and reproduced in a linear fashion. Silver plating for more brilliance. Through the combination of silver-plated and tin-plated leads, the finest details and brilliance of the treble range as well as the lower frequency signals of the bass range are fully carried and powerfully reproduced through the attached speakers. 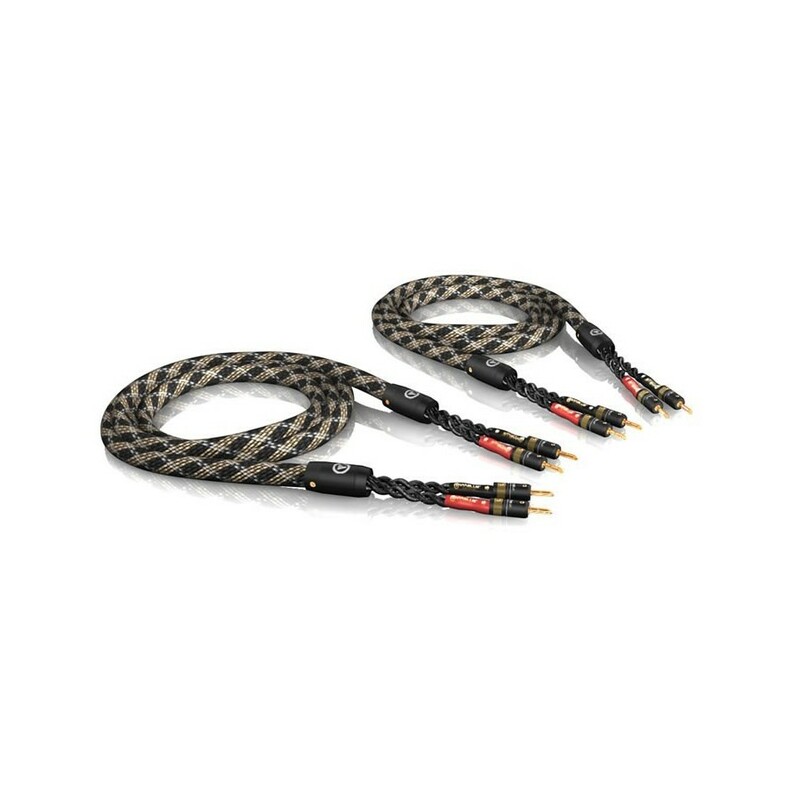 The SC-4 speaker cables are braided with the ViaBlue™Cobra protective sleeve, which also affords at first glance a visual impression of the dynamic quality of the high-end speaker cables. 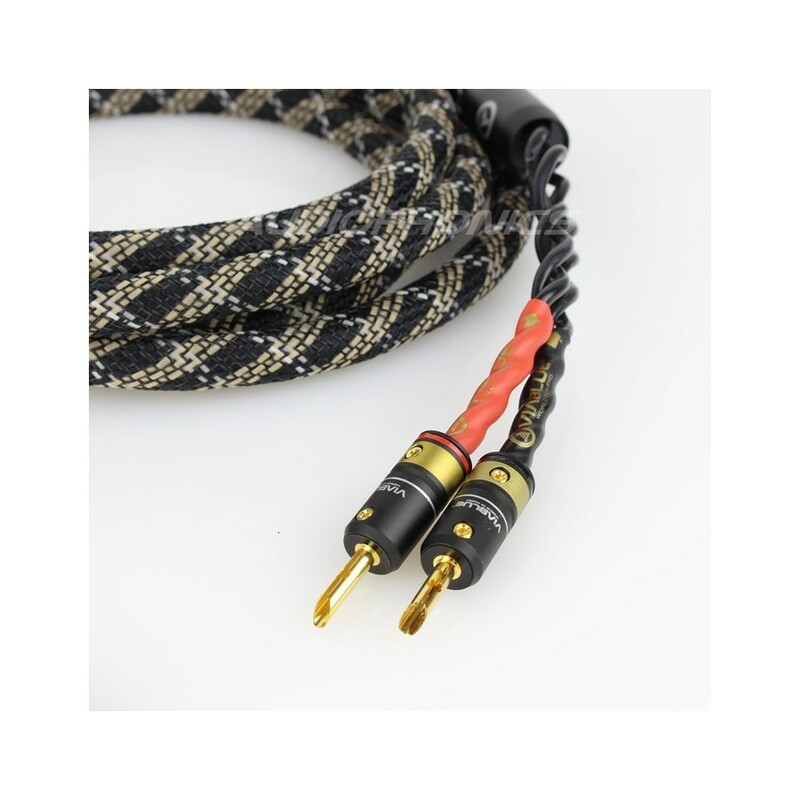 The splitters typically used with ViaBlue™ cables protect the cable ends from snapping off and, at the same time, provide a professional, well thought out cable routing of the single leads. The 6th sense - T6s connectors on the SC-4 Silver-Series. 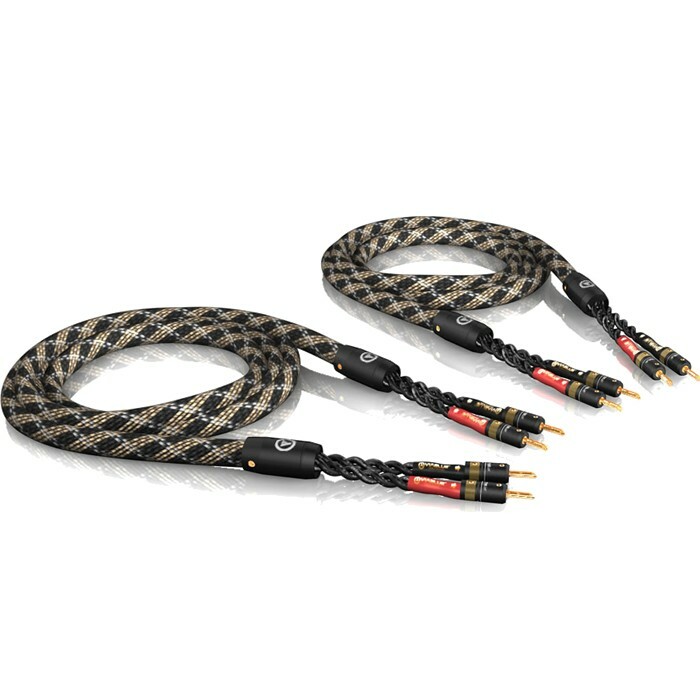 SC-4 Silver Series speaker cables are supplied ready-made with ViaBlue™ T6s banana plugs. ViaBlue™ T6s banana plug have contact pins from bronze that is 24 carat gold plated. The plug's shells are made from aluminum. The contacts can be exchanged by the optionally available spades and flexible pins easily. All ViaBlue™ cables are manufactured in Germany and are made by hand.